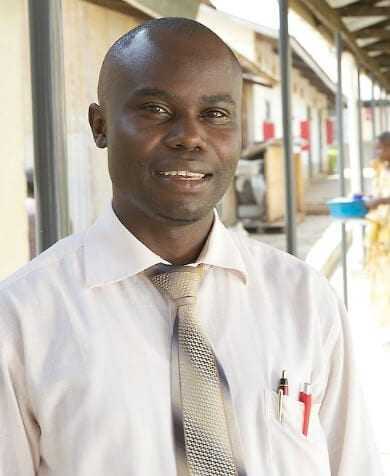 MUST Department of Obstetrics and Gynecology senior lecturer and researcher Joseph Ngonzi has designed and is testing the dressing, called I-Dress, in Ugandan hospitals. Ngonzi’s I-Dress is one of 100 new ideas funded by Canadian-based NGO Grand Challenges Canada in an attempt to address continuous challenges in women and children’s health in developing countries. These projects are financially supported by the Government of Canada through Global Affairs Canada. Each of the 100 projects will receive a seed grant of 100,000 CAD (76,142 USD). Ngonzi told Olive Oil Times: “We are currently developing the final product, where the gauze will be embedded with honey and olive oil and made sterile by radiation, and then test the product on women who have had Caesarean sections in three hospitals. “We are also planning to do an acceptability and feasibility study among the clinicians about the product. “Puerperal sepsis is the leading cause of maternal deaths at our hospital, contributing 31 percent. As an obstetrician and gynecologist, I have seen many mothers suffer and die from sepsis; especially surgical site infection following Caesarean section,” he said. According to research released by Ngonzi earlier this year, puerperal sepsis causes 10 percent of maternal deaths in Africa. According to research released by the Cross-Cultural Foundation of Uganda (CCFU) — an accredited NGO to the UNESCO Intergovernmental Committee for the Safeguarding of Intangible Cultural Heritage and member of the International National Trusts Organisation (INTO) — more than 60 percent of Uganda’s population depends on traditional medicine due to accessibility, affordability and cultural familiarity. CCFU found there was approximately one traditional health practitioner for every 200 to 400 Ugandans, compared to one western-trained doctor per 20,000, and that herbal medicine had long been used to manage a range of common conditions. Ngonzi agreed: “Ugandans’ attitude towards natural remedies is positive and a number of them use natural remedies in treating a couple of ailments. I-Dress has been found to be effective in animal specimens, Ngonzi added.